Saturday, April 4 1908 -- The Memsic-Brock fight went down last night at Naud Junction. Memsic showed his age and lost the newspaper decision. In the undercard, Young Kid McCoy (one of many boxers to adopt that nom de guerre) in his first of only two recorded professional fights lost to Danny Webster, a much more seasoned L.A. boxer. Joe Rogers, if he did in fact fight that night, is unrecorded as doing so on Boxrec. In weazel skin hat news, something ... anything .. must surely be going to happen soon -- the last guest has now departed Hen's soiree. 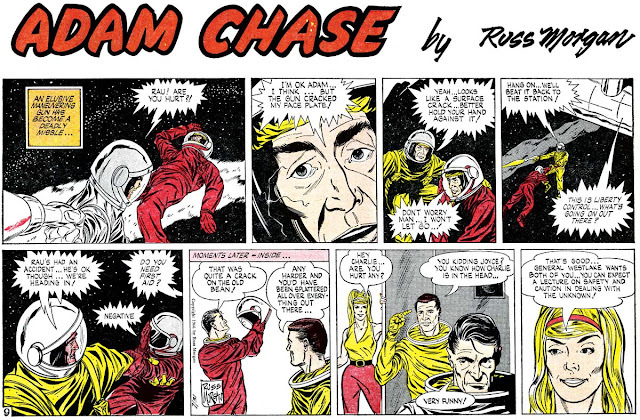 Adam Chase strip #9, originally published July 31 1966. For background on the strip and creator, refer to this post. 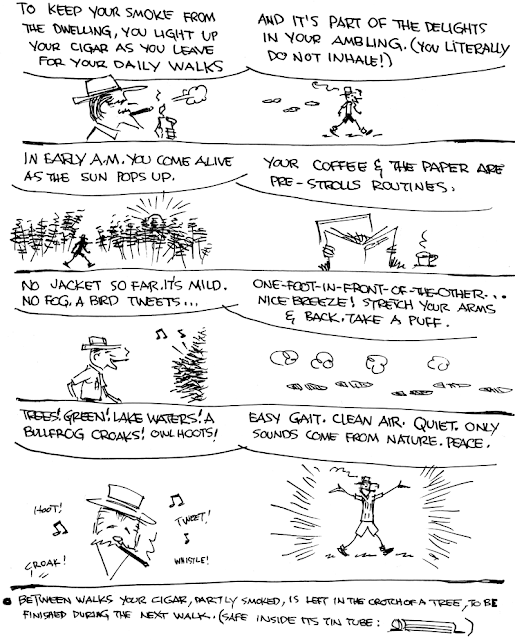 This is a fun strip! Is a book collection in the offing? The art os sort of scratchy but the writing is damn solid, with some interesting realistic touches. The danger of space junk depicted is prescient -- this article has an illo (see figure 9) of a windshield of the space shuttle damaged by a paint chip hurtling through space! 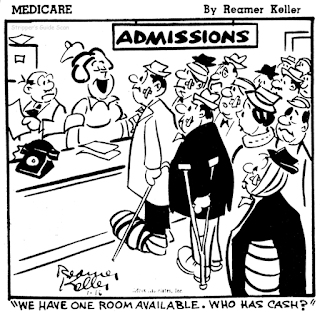 By the time Reamer Keller introduced his new feature Medicare on January 3 1966, he was one of the grand old men in the magazine gag market, and a veteran of several successful newspaper syndicated features. As Keller himself readily admitted, his success was due just as much to the vast quantity of work he produced as to the quality thereof. And his output was incredible -- as you have read here in an article about him posted two days ago, Keller claimed (and I tend to think he wasn't stretching the truth much) to be able to produce fifty cartoons per week.With Keller pumping out cartoons at that rate, throwing an extra daily newspaper feature into the mix wasn't that big a deal for him. 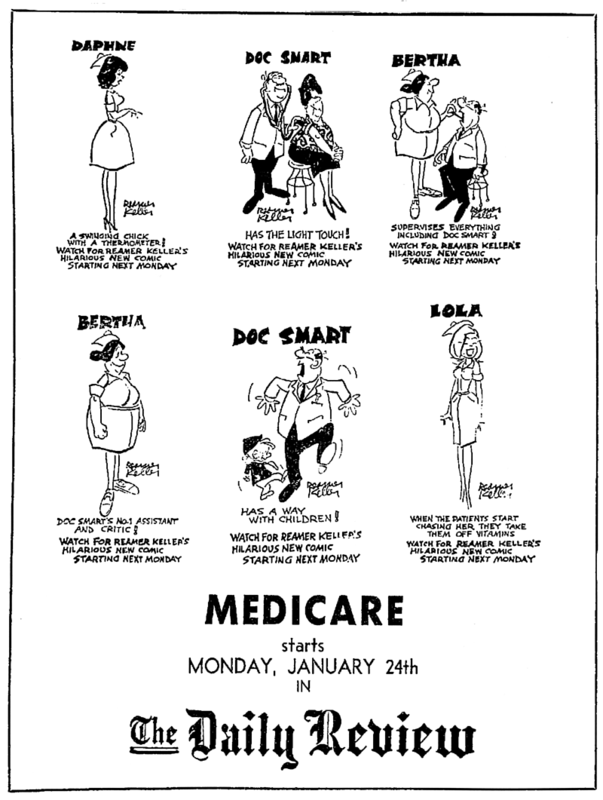 Medicare was created specifically to ride the wave of interest in medical matters that had been spawned by the newly created federal health insurance for the elderly and indigent. Keller and his syndicate, Adcox Associates, reasoned that with medical care in the spotlight, and medical gags pretty easy to come by, Keller might do well, and the amount of work involved was, by his standards, negligible. And he did do well, if not spectacularly. The feature certainly never broke any sales records, but as a pleasant space-filler, with the added sales hook of a well-known magazine cartoonist at the helm, it did just fine. For an unknown reason, some papers ran the feature under the title of Oh, Doctor. Perhaps they were uncomfortable with using the name of a federal government program for a cartoon. When the feature moved from Adcox to Field Enterprises in September 1974 some papers changed the title to Say Ah!, although the official title seems not to have changed then. However, in 1976, the feature did officially change names to Doctor Dumphy. That seemed to be the last gasp, and the panel series seems to have ended on November 13 of that year. 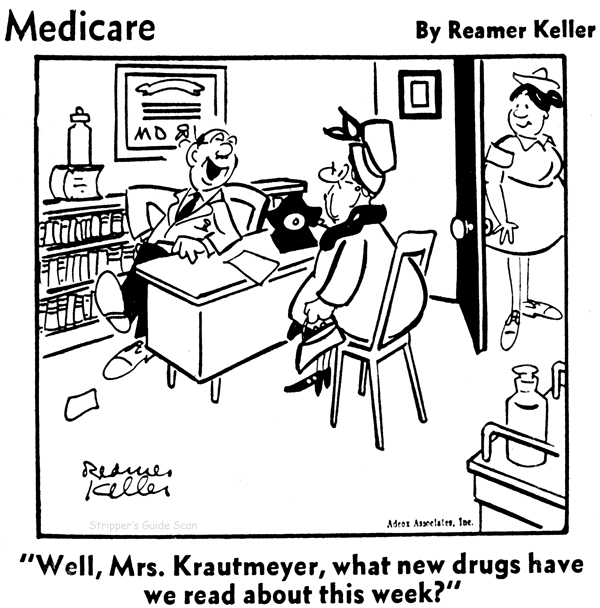 Laughs for readers are pre­scribed and provided by a new "miracle drug"—a newspaper cartoon panel concocted for the New Year of 1966. The format: Six two-column panels a week. The distributor: Adcox Asso­ciates, San Francisco. With Congress enacting Medi­care legislation and with tele­vision broadcasting soap operas about medical men, interest in the medical world has increased to the point where it was deemed a timely background for a new newspaper gag panel. 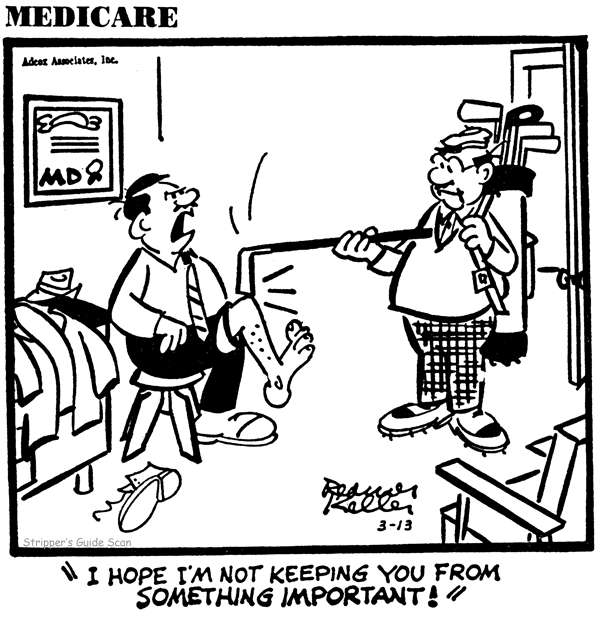 "It's time you started taking out something besides the nurses, Pendergast!" "She has complete confidence in you. I told her you had a rabbit's foot on your hip." "He has a real sympathetic cluck." "I'll be glad when 307 is well enough to get his face slapped!" "Got five girls' names ready?" "No, Mr. Kovacs—I don't think bourbon is a very good substitute for coffee." "You've tried every an­nouncer on tv! 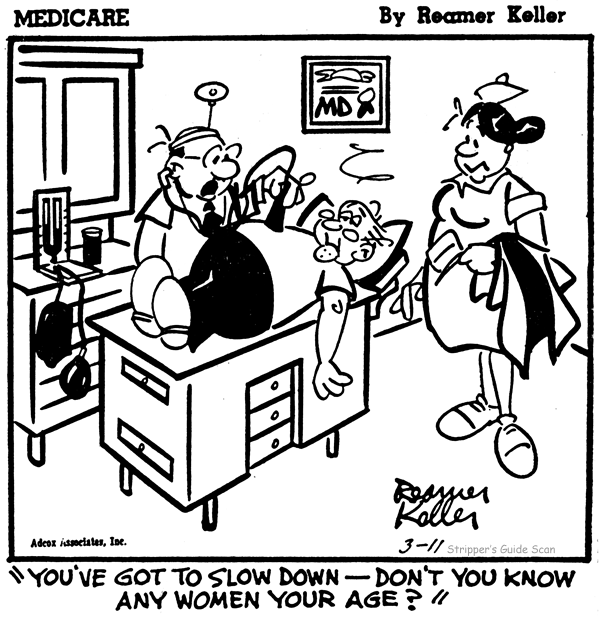 Please try a doctor!" "Quick! Do you have anything on brain surgery made easy?" 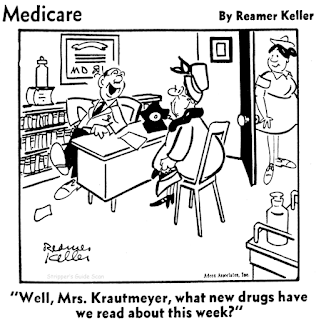 "Carter's drug store? This is an emergency—the doc­tor has run out of lollipops and balloons!" 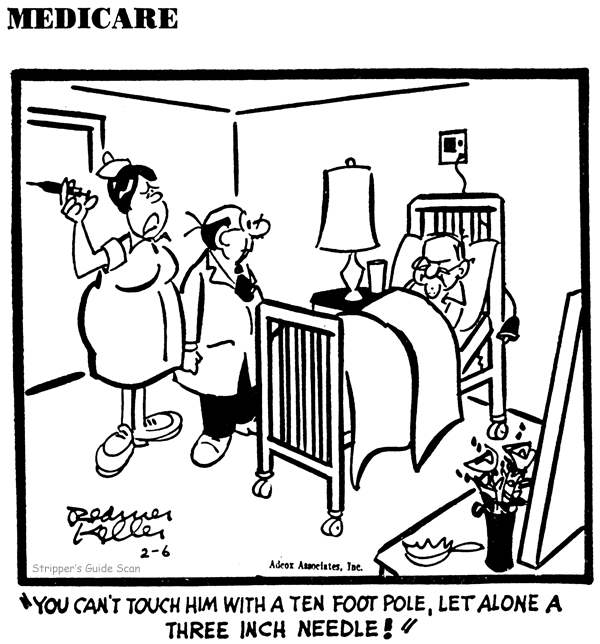 "I like the way he handles a stethoscope—it doesn't tickle." "You need lots of fresh air and sunshine. When you get home get rid of your telephone." "The house isn't the same with­out you, dear. The silence is deafening!" "Good news, dear! 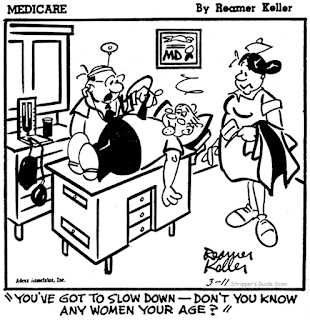 I've found an obstetrician who gives stamps!" The creator of the new comic panel, Keamer Keller, is world renowned in the field of car­tooning. During the last 30 years, Keller cartoons have been seen in most major magazines in the U.S. and Europe and in other parts of the world. More than 22,000 of his car­toons have appeared in every conceivable type of magazine and he has become somewhat of a legend in his own time. His work appears regularly in McCalls, Esquire, Saturday Eve­ning Post, New Yorker, Play­boy, for example. 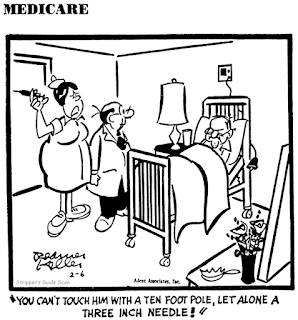 Some of his funniest cartoons dealt with the field of medicine and the new panel developed from this background. 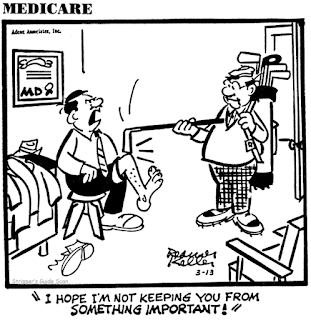 "I found that invariably whenever I drew a cartoon about doctors, nurses and their patients there would be an im­mediate reaction," explained Mr. Keller. "I always was de­luged with requests for the original drawing. 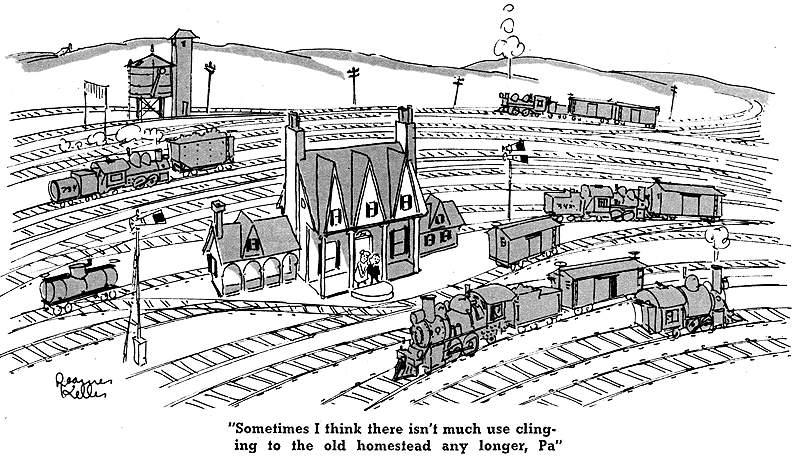 To an artist this is positive proof that you have produced a good, funny cartoon—one that has been right on target." 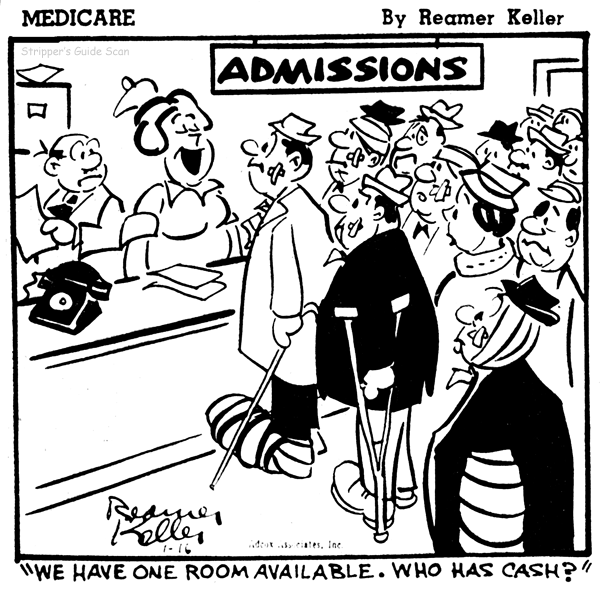 Throughout the country many Keller original cartoons hang in doctors' offices, are pinned to hospital bulletin boards and proudly displayed by members of the medical profession. Mr. Keller hopes for the same warm reception for his new panel. Reamer Keller was born in Shenandoah, Va., but moved at an early age with his parents to Portsmouth, Ohio. He worked for the Columbus Citizen and Ohio State Journal. After four years of architectural studies at the University of Cincinnati and Ohio State University, he headed for New York to follow his first and enduring love— cartooning. 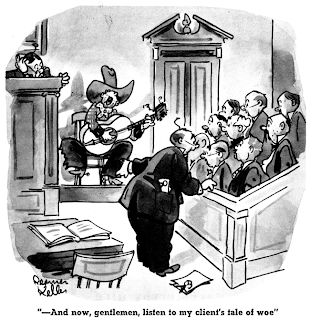 He worked for a year on the old Financial News and the New York World-Telegram and then began selling cartoons to Life, Judge, Colliers and other maga­zines. He also worked for a number of advertising agencies. He now lives with his wife and two children in Atlantic Highlands, N. J., surrounded by pets of many sizes and kinds. 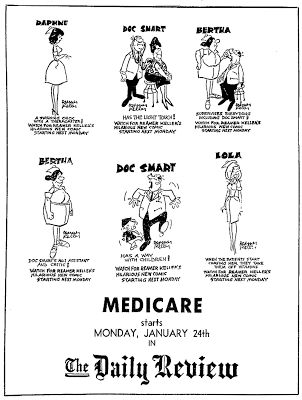 I don't remembered Medicare, but, I do know it (From the now-defunct Oklahoma City Times) mostly under another name, Doc Smart. Cartoonists who draw for newspapers and magazine don't wander around the streets, looking for something funny in everything they see. They don't wake up in the middle of the night, inflamed with an idea to make people laugh. They don't dive into their coat pockets for pencil and pad every time they hear a joke. Take the word of Reamer Keller, who's one of them, that the cartoonists are just quiet folks with regular habits, trying to make a living by tickling the nation's funnybone. 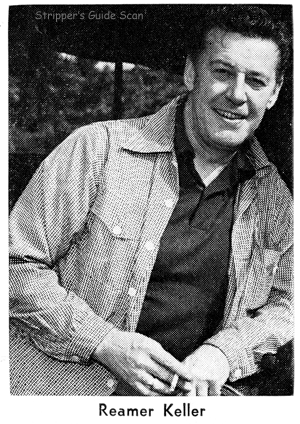 Mr. Keller, son of H.F. Keller, a mechanic in the local Norfolk & Western Railway shops, lives most of the year on Staten island, New York city suburb. But when vacation time rolls around, he always heads for Portsmouth and home. This year he stayed a week, arriving Monday and leaving Saturday. At his home at 1919 Baird avenue, he talked about this business of manufacturing chuckles with pen and ink. 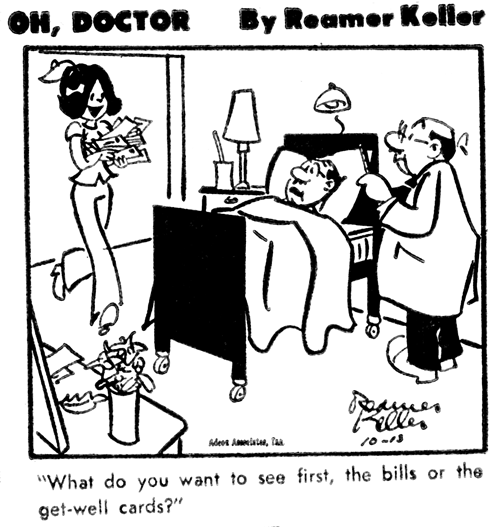 His skill as a cartoonist -- he calls them "gags", not cartoons -- has earned his living for quite a few years. Since 1934, his income also has supported his wife, a pleasant-featured Brooklyn girl, and two children. Mr. Keller works in the manner preferred by most cartoonists -- free lance. Two days a week, he draws. The rest of the time is devoted to selling his products -- visiting personally in New York city the newspaper and magazine offices with which he has established a trade, mailing to other parts of the country and other parts of the world the rest of his output. In the two days at his drawing board, he figures he turns out 50 cartoons each week. He insists that when he sits down at his board with a blank sheet of ordinary typewriter paper jacked in front of him, he doesn't have the slightest idea what he wants to draw. He says he starts off aimlessly, maybe outlining a desk off at one side of the paper. Then he might sketch a figure behind the desk, or in front of it, or somewhere near it. Then another figure or some object of furniture will be inserted. All this he calls "fiddling" -- fishing for an idea upon which to build a "gag". Presently something suggests itself. He goes to work in earnest and in a few minutes the cartoon appears full bodied. Beneath he prints the caption, the "gag line" which is supposed to get the laugh (a lot of times they don't, he admits), and then he starts the stack which keeps growing as ideas incubate and come to life on paper. He says it's not especially hard. You don't bite your nails or pace the floor. You just "fiddle" around and eventually the mind responds. The stack finished, he bundles his work under his arm and starts the rounds of the offices. 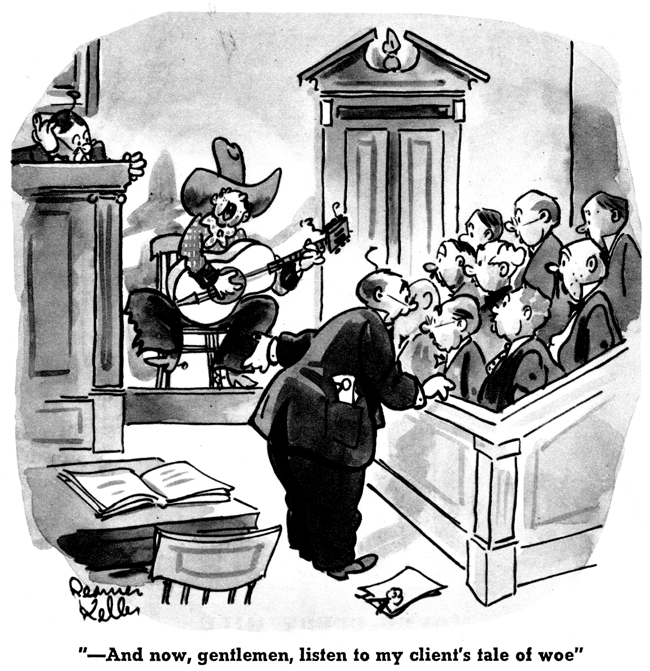 Some of his creations find their way into magazines which demand high-grade stuff; widely known humor publications like Judge, College Humor and Collier's print quite a few. So does Liberty. He reaches newspapers, including The Times, through King Features Syndicate, a nationwide organization whose business is selling comics and other features to newspapers. Foreign countries see his products. He mails cartoons to England, France, Sweden and countries as far off as India. The captions are translated into native languages, and the same brand of humor that lights up an American face in a smile also amuses a French laborer, relaxing over his evening wine. The cartoons come from a hand never trained in art school. Mr. Keller wanted to be an architect after he finished Portsmouth High school. He enrolled in an architecture course at the University of Cincinnati. His comical sketches decorated the pages of the school's publication, but he drew simply as a lark, all the while pursuing his studies in architecture. Even when he went to Ohio State university for further study, a career in cartoons wasn't on his mind. There, too, he contributed to the school's magazine but he still was just exercising a sense of humor which makes him exceptionally pleasant to talk with. He stumbled into cartooning after he left school. A nonsensical tidbit he showed a sports editor of a Columbus newspaper was so well liked that the editor offered to buy it. 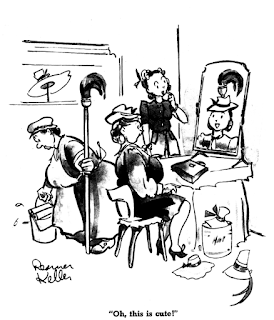 He still remembers the cartoon -- a couple of feminine prize fighters puffing in their corners between rounds and one of them is saying to her trainer: "Never mind the rub-down -- just daub a little rouge over this black eye!" He got a job on the paper, drawing, working in the art department, developing his technique. After a while he quit and made an extensive expedition through the country, traveling with a companion by any means at hand. He came back with the firm determination to try his luck in New York city. He went east in 1920 and he's been there ever since. Even if it isn't the safest job in the world -- editors still don't go into ecstacy over everything he turns out -- he likes it because it permits an independent life. His investment is ridiculously low. Two bottles of ink a month are sufficient. The typewriter paper comes in large sheafs for a dime. And for the last five years he has used the same pen points, not because they're expensive but because he's learned to work expertly and swiftly with that particular point. Keller is one of the best. Thanks so much for this. Hello, do you know if Reamer Keller did any realistic advertising art in the 1950s? I have an ad with a painted illustration signed R. Keller that looks like his signature. Almost certainly not Reamer Keller, unless the painted illo is cartoony. He did not work in a realistic style commercially. John E. Pierotti was born in New York, New York, on July 26, 1911, according to Who Was Who in America with World Notables (1989). In the 1915 New York State Census, he was the oldest of two children born to Roger and Emily. His father was a fashion designer. The family lived in Brooklyn at 8768 20th Avenue. The family of six (plus two daughters) remained in Brooklyn, at 145 Bay 35th Street, according to the 1920 census. Who Was Who said Pierotti’s newspaper career began in 1927 as a copy boy at the New York Telegram; he went on to become a cartoonist covering sports, news, portraits, etc. The 1930 census recorded his family in the Brooklyn neighborhood at 57 Bay 31st Street. Pierotti’s father was an art director in magazine advertising; his mother had passed away earlier. He was a newspaper cartoonist. Having ended his grade school education, he attended the Mechanics Art Institute, New York, 1930; Cooper Union, 1931, and the Art Students League, New York, from 1932 to 1933, according to Who Was Who. 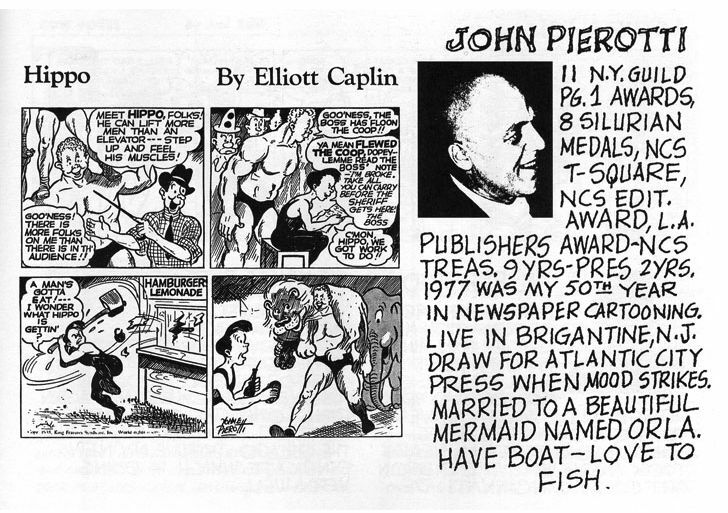 The book also said he was a sports cartoonist for the Washington Post in 1933; he returned to New York and did animation for Popeye and Betty Boop cartoons in 1936. The New York Times, May 7, 1987, said he joined United Features Syndicate, in 1937, where he did “lettering and backgrounds for Ernie Bushmiller’s ‘Fritzi Ritz,’ which later became ‘Nancy.’ ” Who Was Who said he drew a cartoon for the Old Gold cigarette contest in 1937. (Life magazine, September 6, 1937, pictured two of the cartoonists, Martin Nadle and Jesse Jacobs.) King Features Syndicate published, somewhere in 1938, his strip Hippo and Hookie. He married Helen Mastrangelo, June 5, 1938. After his marriage he did not venture far from his Brooklyn neighborhood, residing at 8696 Bay 26th Street, according to the 1940 census. He drew a comic book story about Mundoo, a wolf-dog hybrid, which was published in Green Giant Comics #1, 1940. He had just two years of high school and was an artist in the publishing industry. In the early 1940s, the Times said he drew sports and political cartoons for the two New York newspapers, PM and The Star. After their demise in 1943, he was an editor and cartoonist at United Features Syndicate, where he produced the sports panel Pier-Oddities. 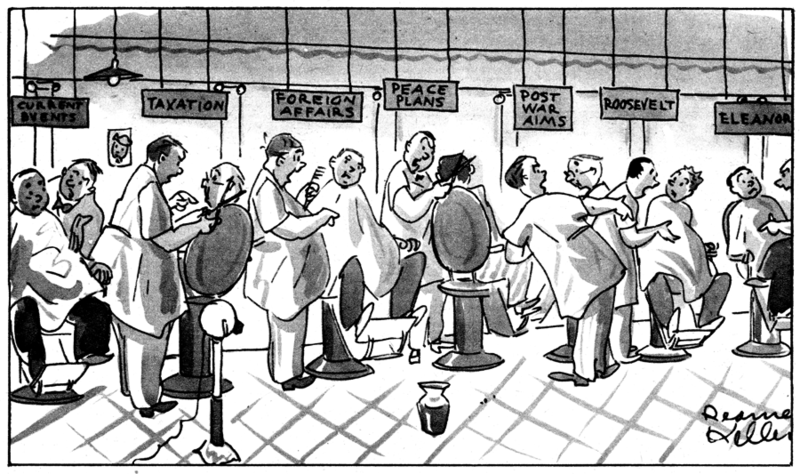 Editor & Publisher, August 26, 1950, said he switched to the McClure Syndicate in 1949. According to Who Was Who, he produced art for the NEA Syndicate, Sporting News (St. Louis), General Foods. 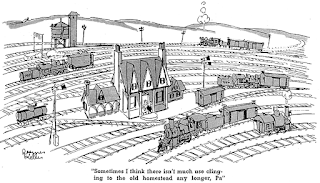 He contributed cartoons to many magazines including the Saturday Evening Post, Colliers, Esquire, New Yorker, Saturday Review of Literature and others. 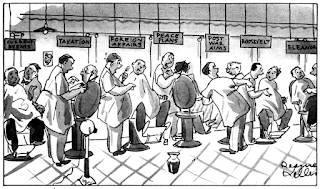 Who Was Who said he was awarded the Society of the Silurians Award for best editorial cartoon in 1965, 1967, 1968, 1971 and 1972; and the Page One award for best sports cartoon in 1965, and best editorial cartoon in 1967, 1968, 1970 through 1973 and 1975. He won the NCS award as Best Editorial Cartoonist in 1975. His memberships included the Baseball Writers Association, Banshees Artists and Writers Association, Newspaper Reporters Association, New York, and the U.S. Harness Writers Association. The entry in Who’s Who in Commercial Art and Photography (1960) listed his address as “100 Bay 26 Street, Brooklyn, N.Y.” At some point he moved to Brigantine, New Jersey. Pierotti passed away May 6, 1987. The Times published news of his death the following day and said he died at Delaware County Memorial Hospital in Drexel Hill, Pennsylvania. He lived in West Chester, Pennsylvania. Man, Jim, you make retirement look so perfect! Although I've been in the school system for 28 years, I'm planning to work until I'm at least 62 - 7 1/2 more years. I hope I have as much fun as you, when I retire. Of course, my goal in life has always been to have as much fun as you.